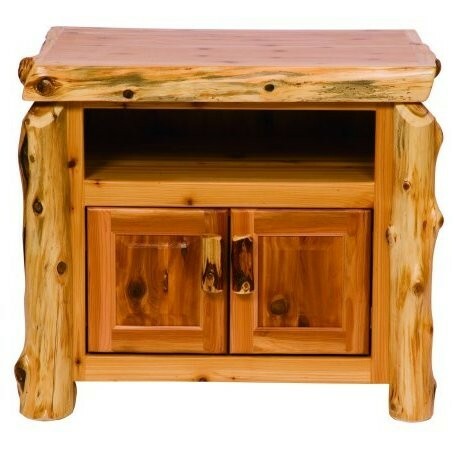 This rustic log television stand with DVD / receiver opening is hand crafted and made of hand peeled white cedar logs giving it a natural rustic look. This rustic log television stand with DVD / receiver opening is hand crafted and made of hand peeled white cedar logs giving it a natural rustic look. It is clear coated with a catalyzed lacquer finish for extra durability. 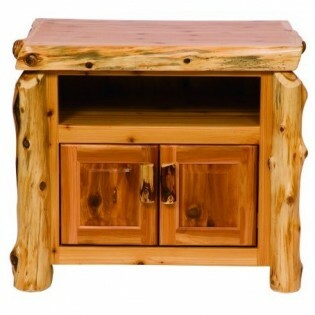 With our Cedar Log Television Stand you can add rustic appeal to your home.